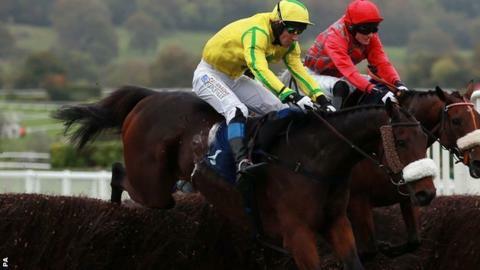 Wincanton winner The Young Master has been disqualified and his trainer Neil Mulholland fined £250 after a British Horseracing Authority (BHA) inquiry. The horse was found not to have been qualified after a seven-length victory in Saturday's Badger Ales Trophy. The BHA objected to the result as entries should have run three times previously over fences but the winner had only done so twice. Bets are unaffected as they are settled on the way runners went past the post. "The disqualification is understandable and correct; the responsibility of trainers when it comes to race entries are very clear. "There is a big 'however' here too because the authority is having it both ways.On the one hand, it's saying the horse shouldn't have run, so is thrown out, but on the other the performance is still being taken into account when assessing The Young Master's future weights. That, plus a fine, looks like kicking a man when he's down." Earlier in the week, The Young Master was raised a stone in the ratings by the handicapper and despite being disqualified, his future racing weight will be affected. BHA director of racing Ruth Quinn said: "We have a duty to the sport as a whole, including punters and other horsemen, and that duty is not played out by not taking account of the form from Saturday's race. "We appreciate that this may be seen as a hard line by some, but we are confident that in the best interests of the sport it is the correct decision. "It is borne out by other precedents of horses being disqualified - for example for taking the wrong course - then being reassessed off the back of these performances." The BHA has indicated the entry issue arose after "a computer systems failure" at racing's administrators Weatherbys. A spokesman said: "The disciplinary panel noted the error occurred due to an unfortunate sequence of events resulting in the gelding being allowed to run when not qualified. "However, whilst having some sympathy for Mulholland, the panel noted it was ultimately the trainer's responsibility to ensure that a horse is eligible to be declared."